Act of Consecration to Mary: O my Queen, O my Mother, I love you and give myself to you. I give to you this day my eyes, my ears, my mouth, my heart, my whole self. 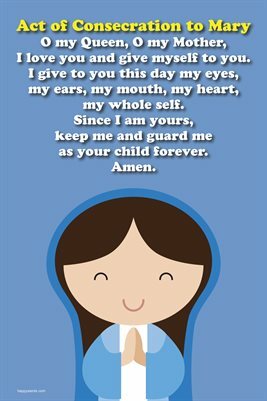 Since I am yours, keep me and guard me as your child forever. Amen.